Galano Grotesque font is a contemporary Sans Serif created in the style of the best samples in the type design field. It offers the best possible proportion between width and height which greatly increases legibility especially in the smaller letters. With its neutral yet unique elegant look Galano Grotesque will work perfectly in any kind of text – from display to small sizes. 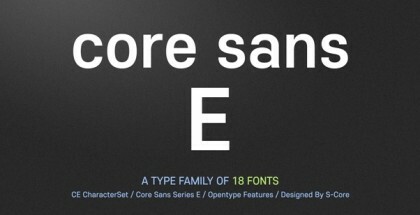 The font family contains 10 different weights – Grotesque Thin, Grotesque Extra Light, Grotesque Light, Grotesque, Grotesque Medium, Grotesque Semi Bold, Grotesque Bold, Grotesque Extra Bold, Grotesque Heavy, Black with their Italics. All in all it makes the staggering 20 fonts! But that is not all. While creating this amazing font, an idea emerged to create an alternative version that will co-exist and complement the original. So, in that manner Galano Grotesque Alt was born. It too has another 10 weights with matching Italics. We have to mention that the author has provided two free demo fonts – Grotesque Demo Bold and Grotesque Alt Demo Bold in order to provide the opportunity to experience the benefits of this extremely large typeface family. Needless to say that the fonts are packed with OpenType features like ligatures, fractions, alternative glyphs, arrows as well as vast character set that supports all kinds of European languages. Galano Grotesque font family is designed by the Berlin based type designer Rene Bieder. 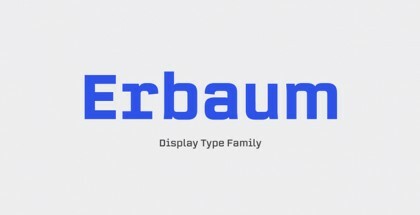 Baring in mind his work, we have no doubt that this font family will become a huge success – after all he is the author of the bestselling Campton font and Quadon font as well as the great Canaro, Gentona and Choplin fonts. Get Galano Grotesque font and enjoy limitless opportunities!